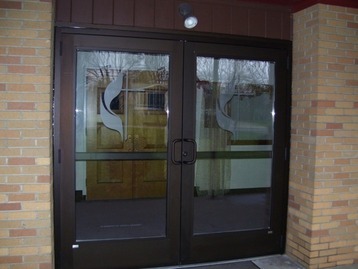 These doors were recently etched for Bethel United Methodist Church in Lower Burrell, Pennsylvania. 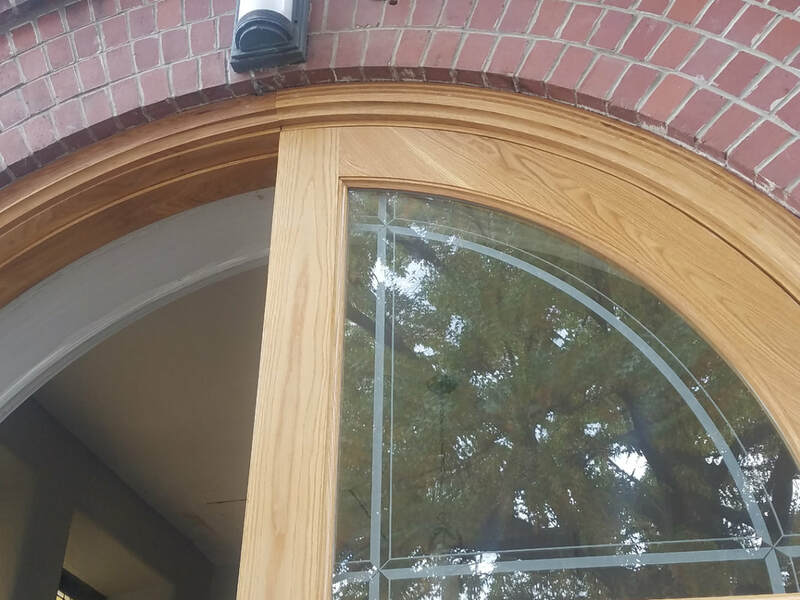 This first picture above illustrates the overall view of the front doors at Riverside while the image on the right is a closeup of the same doorway. Bethel United Methodist Church in Lower Burrell, Pennsylvania. 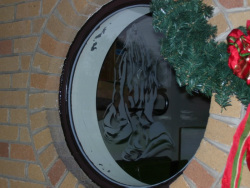 The first door on the left is an etching of St. Rocco. 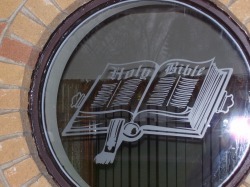 The top door on the right was designed for a church's chapel entrance. 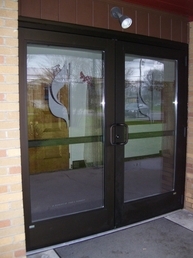 The bottom door on the right was etched for a front entrance door of a church.